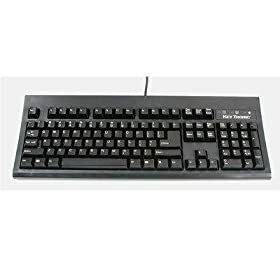 Choose the Key Tronic KT800 bulk 10 pack and youll not only get great keyboards at a great price, you will get the experience and commitment to excellence thats made Key Tronic Corporation the worlds leading manufacturer of computer keyboards and input devices. These bulk packs will be great for the price sensitive system integrators and box builders. Products are packaged in a master box that holds 10 individually boxed keyboards. Choose the Key Tronic KT800 keyboard with Windows keys and you’ll not only get a great keyboard at a great price, you will get the experience and commitment to excellence that’s made Key Tronic Corporation the world’s leading manufacturer of computer keyboards and input devices.The KT800P2 keyboard meets the European Union RoHS initiatives. Keytronic Kb E03601P15Pk Ps2 Cable With Keytronic Logo Beige 5Pk.